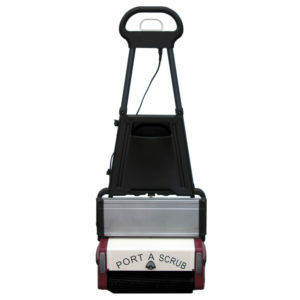 The Port A Scrub 12 is easier on the indoor environment and make cleaning so simple, it is actually enjoyable. 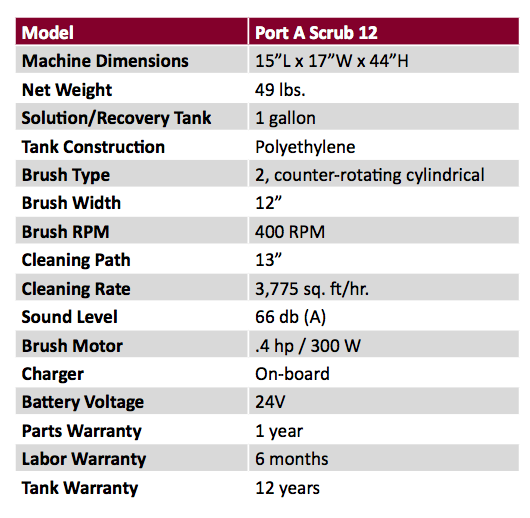 In- house facility managers, building engineers, housekeepers and BSCs will appreciate the Port A Scrub 12’s superior exibility, advanced productivity and reduced environmen- tal impact. Where high quality oor cleaning performance, ease of use and durability are called for, the Port A Scrub 12 is the most versatile and effective answer for any hard or soft oor surface.